Showers and thunderstorms. A few storms may be severe. High 71F. Winds ESE at 10 to 15 mph. Chance of rain 100%. 1 to 2 inches of rain expected..
Showers likely along with a possible rumble of thunder during the evening, then partly cloudy overnight. Low 61F. NE winds shifting to WNW at 10 to 15 mph. Chance of rain 80%. Rainfall possibly over one inch. Staff photo — Rod Aydelotte Cameron Morris applies his hatmaking skills for a customer of Standard Hat Works, which Morris recently purchased. Morris said he studied the art of millinery from the previous owner, Lenny Lawson, who is confident Morris will take the shop on the right path. ABOVE: Cameron Morris (right), Standard Hat Works’ new owner, meets with a customer at his shop at 1826 Circle Road. The business can trace its founding to 1909. BELOW: Catherine Cavazos, who has worked at Standard Hat Works for seven years, staffs the front desk for Morris. He is holding a clearance sale, but already has begun filling new orders and launched extended hours of operation. Staff photo-Rod Aydelotte Cameron Morris prepares a hat for a customer of Standard Hat Works, located on Circle Road near Interstate 35. Morris recently bought the shop that has filled orders for such celebrities as Oprah Winfrey, Arsenio Hall, Steve Martin and George Strait. Staff photo-Rod Aydelotte Cameron Morris has bought Standard Hat Works, whose days of operation had dwindled to Saturday only. He will keep it open six days a week but continue the tradition of making hats by hand using equipment dating back to 1867. Catherine Cavazos, who has worked at Standard Hat Works for seven years, staffs the front desk for Morris. He is holding a clearance sale, but already has begun filling new orders and launched extended hours of operation. Staff photo-Rod Aydelotte New owner of Standard Hat Works, Cameron Morris, talks with a customer at his shop on Circle Road. 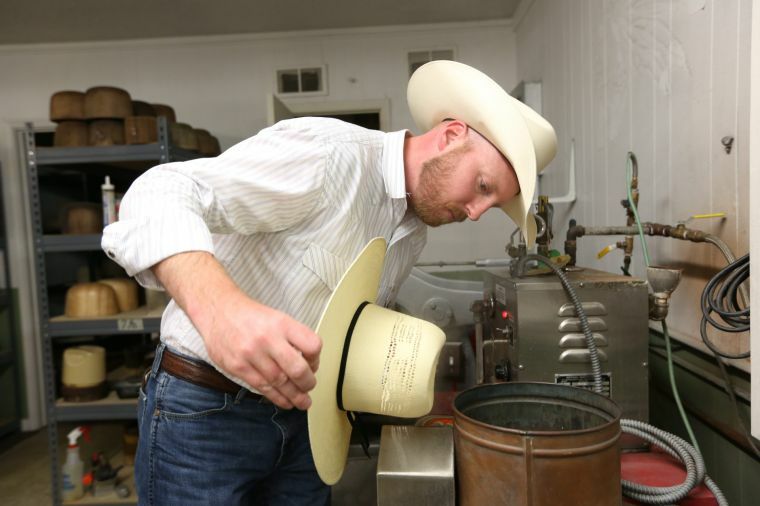 Waco’s Standard Hat Works — founded in New York City more than a century ago and one-time maker of lids for such celebrities as Garth Brooks, Oprah Winfrey and David Letterman — now belongs to a new owner who pledges to expand its hours and continue to make fine headwear by hand. 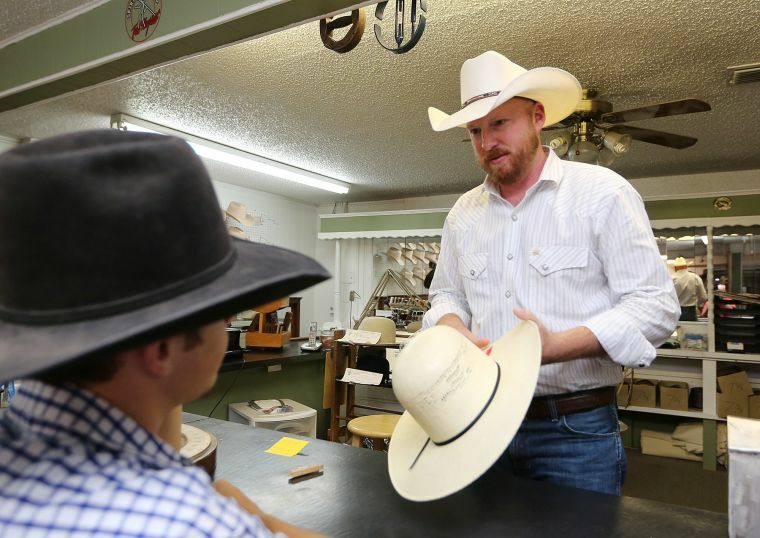 Cameron Morris, 34, who learned hatmaking from the previous owner, Lenny Lawson, said he bought the business, the name and the equipment inside — some of it dating to 1867 — in a deal that closed June 21. He has begun a clearance sale to make room for fresh merchandise. “Right now, the staff is just me and a seamstress, and I don’t mind keeping the business small,” Morris said. He will push quality over quantity. “I will make one hat at a time, so each will be truly customized, and customers will be getting a quality product,” Morris said. He will open every day but Sunday and Monday, and will offer a line of straw western hats and a selection of felt hats by national names such as Resistol and Larry Mahan. But custom hatmaking will demand most of his time and that of his shop at 1826 Circle Road. Morris said he is spreading the word about his purchase via social media. He especially wants to attract the attention of loyal customers who may have lost touch with Standard Hat Works the past year or two, when Lawson kept limited hours, but never officially closed. “Some weeks it would open only on Saturday, but we did try to keep orders filled,” said Morris, who added Lawson “took me under his wing” and taught him the ropes. “I think he will do very well, and I’m confident he will keep this place and its history alive,” said Lawson, 41. Lawson said personal matters prevented him from giving the shop the attention it deserved in recent months. Personal issues aside, Lawson said the historic drought of 2011 also proved damaging to his shop because the weather’s effects hit hard his usual customers — farmers and ranchers. “When hay goes from $40 to $160 a round bale, there’s not much money left for other things,” he said. Morris said he thinks he can turn around the shop’s fortunes. He is heartened by those who have stopped to show their support. “Some say they were just driving by on the interstate, saw my sign and couldn’t resist dropping in,” he said. Customized felt hats will range in price from $180 to $594, depending on size, and will be made of rabbit or beaver fur. “I expect the breakdown to be 75 percent western hats and 25 percent fedoras for those who prefer something else,” Morris said. Straw hats will range in price from $20 to $120. The shop will offer hat accessories such as bands. Standard Hat Works moved to its current location near Interstate 35 in 2006, and the proposed widening of the interstate between New Road and North Loop 340 could threaten the site, said Jodi Wheatley, a spokeswoman for the Texas Department of Transportation. Some may find it ironic that Standard Hat Works, which dotes on western hatwear, had its beginning in New York City. William Gross, a Hungarian immigrant, walked the streets selling hats off his head. He later found a home for his shop in Waco, settling at 622 Washington Ave. The 1980s proved successful for Standard Hat Works, as the movie “Urban Cowboy,” starring John Travolta, made western apparel cool. The store attracted such country entertainers as George Strait, Clint Black, Garth Brooks and Neal McCoy, according to the company’s website. Decades earlier, the business had been bought from Gross by Bill Martin, whose nephew, comedian Steve Martin, ordered hats there as his career took off. Other celebrities began to request custom headwear, among them Oprah Winfrey, David Letterman, Arsenio Hall and the band members of Guns N’ Roses. The store in 1988 relocated to Waco Drive, where a fire in 1993 destroyed much of the hatmaking equipment. Business limped along until Lawson took over and vowed to replace what had been lost by visiting New England and the Midwest in search of antique machinery. He told a TxDOT trade magazine that his quest became an obsession, but a fruitful one, as he found a key piece of millinery gear in storage for 60 years. Now that key piece belongs to Morris, who said he wants to return Standard Hat Works to its former glory. A new restaurant called The Brown House Cafe has opened in McGregor, located in the eclectic collection of stores called The Strand Shops on Main.